Barcelona, PSG, Inter Milan, Manchester City and Roma will be strutting their stuff in Europe away from home in these dazzling shirts! While last year we saw the "fade" used to full effect, this year Nike have gone down a rather striped template for their Champions League away shirts. This year, a horizontally striped gradient is the way to go in Europe. The shirts are somewhat brave but that's what we're used to these days; bright, bold and occasionally, truly beautiful. The good thing about this template is perhaps the faded shorts have gone the journey - this time we see solid colours for shorts and socks. This year FC Barcelona have gone for a vibrant blend of green tones, with the shirt featuring contrasting horizontal lines against a glow green background, fading towards the hem. 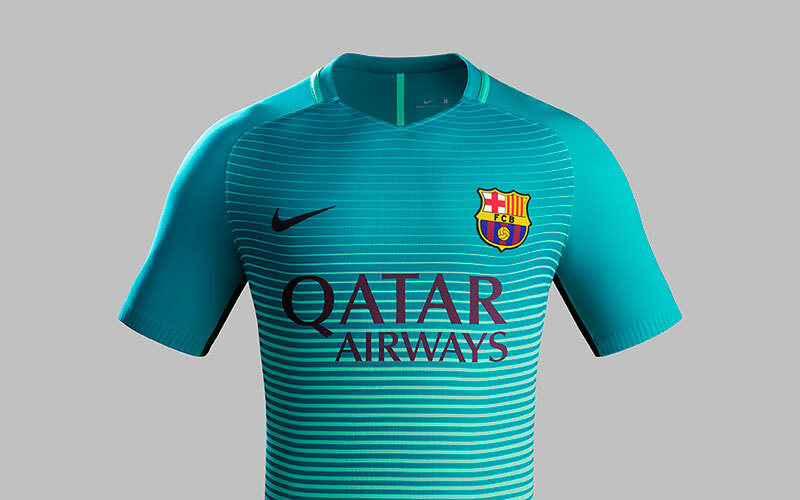 Reminiscent of classic Barca away shirts of the mid 90s, Nike have paid homage to it while keeping it very modern. Will Neymar and co. be bringing yet another Champions League trophy back to the Nou Camp in this green number? The Barcelona Third Shirt will be available to buy from October 24th. Until then, why not get a headstart and purchase the Barcelona home and away kits!? Shop the Barcelona range below. 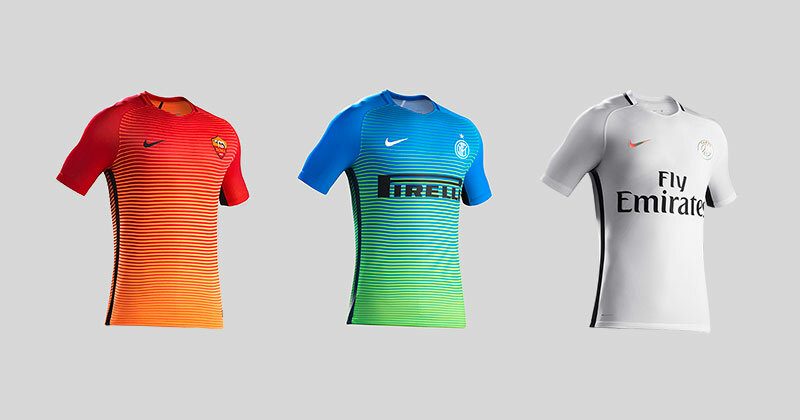 PSG don't seem to accept Nike's templates these days. They refused the fade last year and are refusing the hoops this year. The all white shirt with black details is a stunningly simple shirt. 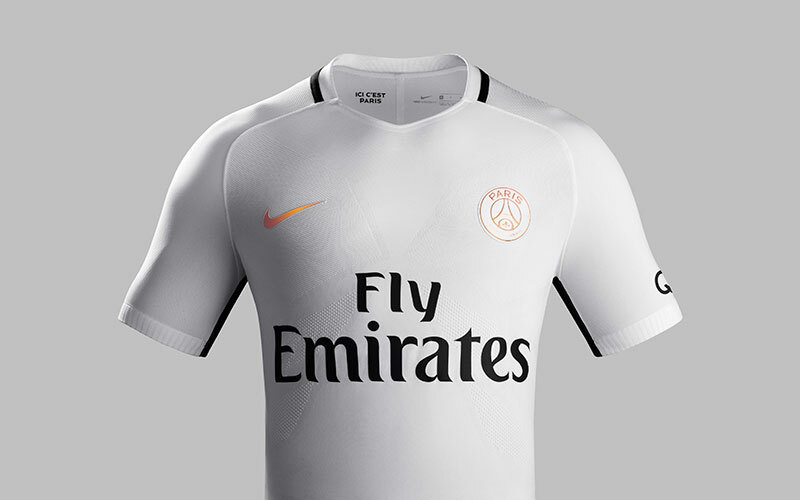 According to Nike, the new luminous all-white PSG third kit "nods to Paris' reputation as the "City of Light". 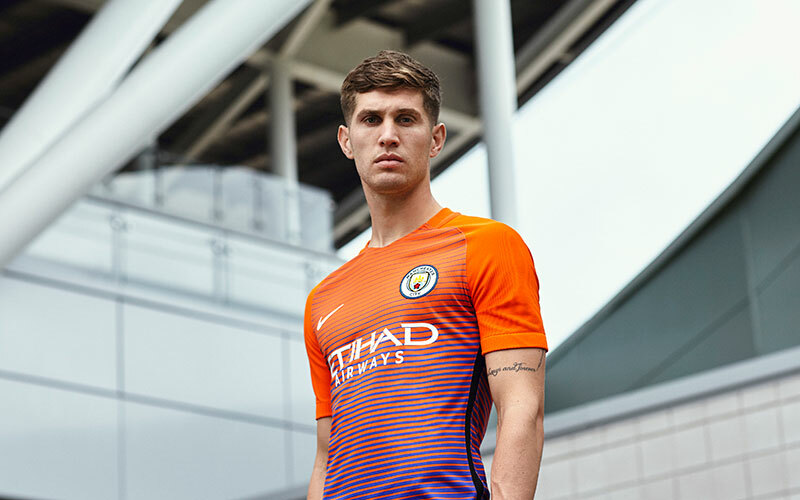 The sleeves and the upper back have been infused with platinum threads that shine underneath stadium lights, whereas the club's crest and Nike Swoosh feature an iridescent finish. Top work here, expect this to be worn around Shoreditch by anyone who is anyone. 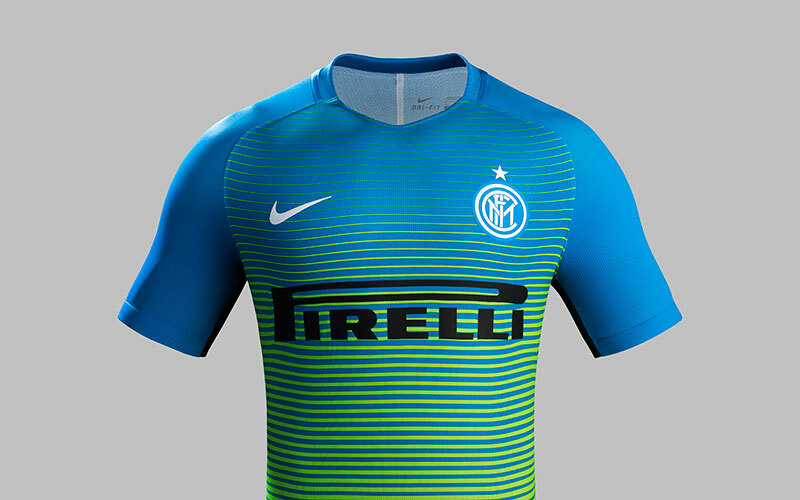 This Inter shirt is going to be one you either love or hate. It has already split opinions of FIFA 17 Ultimate Team users; some are absolutely in love with it, others cannot abide it. The standard template is involved here but with a blue to green gradient effect, with green shorts and socks finishing the strip off. Perhaps not the greatest or most classic colourway for Inter Milan, but surely one of the most memorable. The kit features their iconic blue to a new luminous shade, with the shirt including luminous blue horizontal stripes on an electric green background, fading towards the edges. 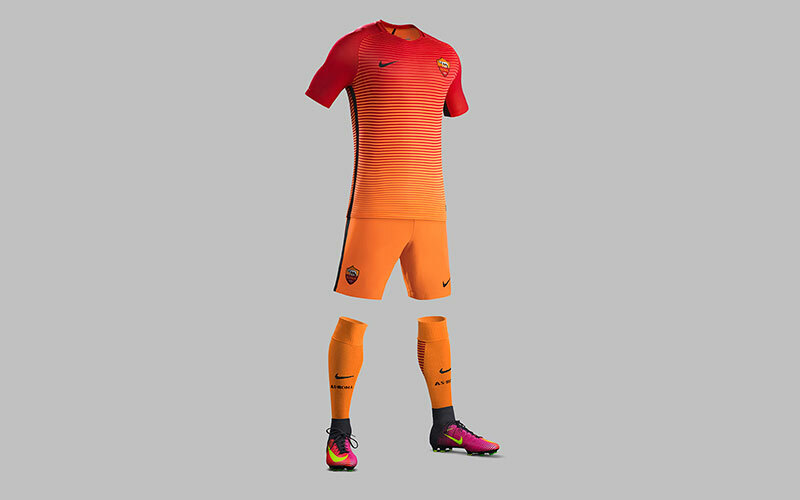 We have to say this first, do Roma really need a shirt that is so similar to their home shirt? Probably not, but that fact aside, Nike have delivered the goods with a stunning colourway. A slight tweak of colours and it would most certainly do the job as a home shirt for the Italian giants. The shirt features a bold and vibrant blend of colours, with the shirt featuring contrasting red horizontal lines against a bright orange background, fading towards the bottom; where it meets the sunburst orange of the shorts. This design would look just at home on the beach as it would on a football field.